Well, what they experienced with pizzas in Italy might come across as over-exaggerated to some, but certainly not to me! I can perfectly identify with Elizabeth and Sophie the euphoric pleasure derived from having my favorite pasta al frutti di mare, super yummy gelati and freshly brewed coffee in Italy! I mean, what can possibly go wrong with them? 1 Gelato , many Gelati... 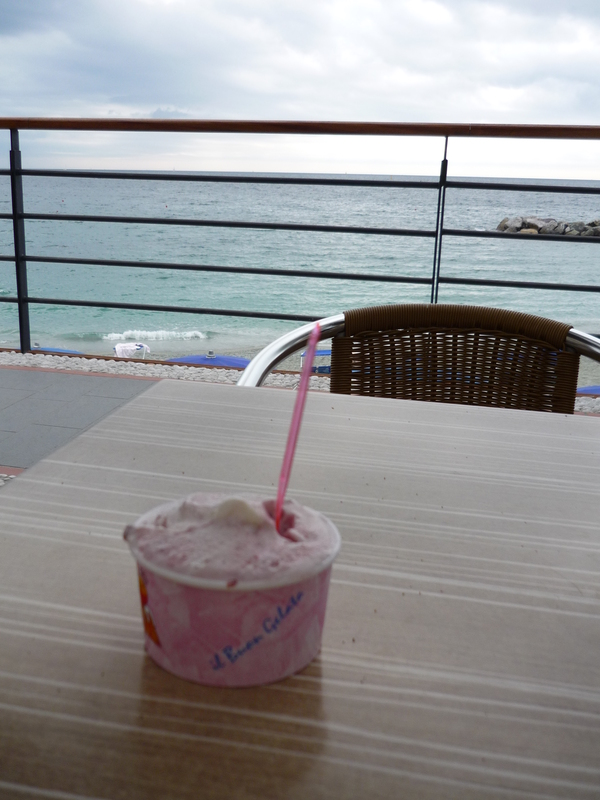 Here it says The Good Gelato at Monterosso. For ice-cream lovers, never miss the Italian gelato. Costing at not more than 3euros for each cup or cone, you can have at least 2 generous scoops of different flavors of gelati. Spoilt for choice, no wonder I tend to spend longer time deciding on the second flavor. 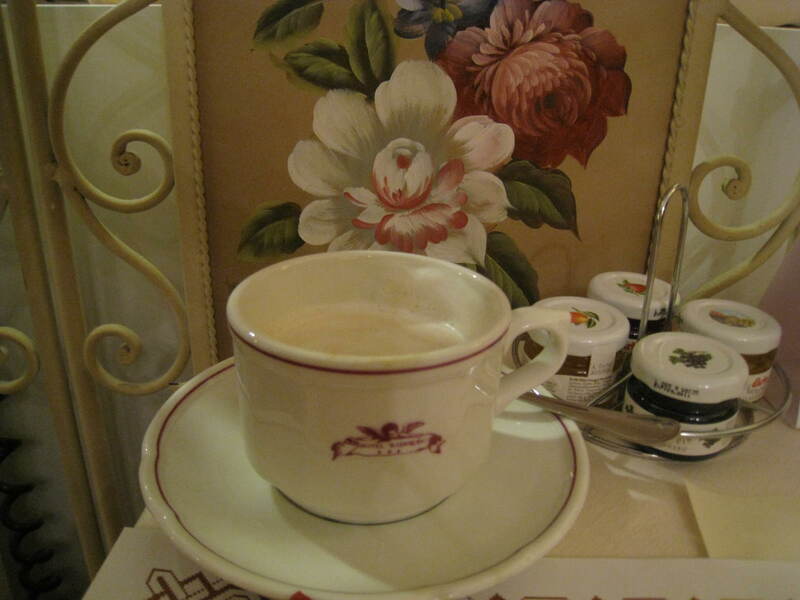 There is no better way to start off the day with an aromatic cup of Italian cuppuccino! Freshly brewed and light in taste that does not linger on in your mouth, it certainly won me, a non-coffee drinker over totally! Now, I only take coffee in Italy and nowhere else. Ever wondered why the Italians are generally slim? It is because they eat well! Italian cuisine has a balanced and healthy selection of fresh ingredients from meat, seafood, vegetables and cheese which are prepared mainly with olive oil or fresh tomato puree, together with pasta, pizza or risotto. The beauty of Italian cuisine lies in its simplicity, it is relatively easy to prepare, yet difficult to achieve that ideal state, think spaghetti al dente! Italian cuisine is unpretentious, without the fuss on its presentation so as to project a haute cuisine image . The moment you take a first taste of the food, you can feel that it is prepared in such a way that the cook has certainly included his heart and pride as special ingredients, giving diners a truly authentic and homely taste. 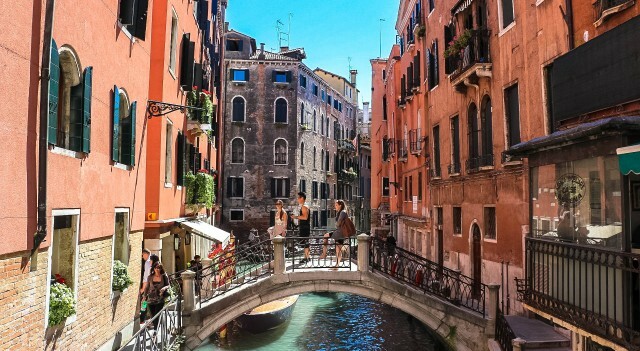 You can be assured of quality traditional Italian food in good portion at reasonable prices, without buring a hole in your pocket, throughout most of Italy, with the exception of touristic places like Venice or Rome. Most likely they are not cooked by real Italians, because the Italians know their food! But if you ask me, the top places that generally serve good Italian cuisine are: Sicily, Cinque Terre, Bologna and Florence. Each region has their own variation of cuisine with their local ingredients. I still have a long way to discover and learn more about Italian cuisine. Speaking of which I will return soon to go to the city of the renowned ham and cheese as well as to go on a wine tour in the Chianti region! Not hungry yet? Take a look at the photo gallery in my next article and tell me after! If you do have good recommendations on where to eat good Italian food in Italy, please share them by writing in the comments box below. Here’s a little game: Guess which 2 photos are food made by yours sincerely! Finally, I have to agree with Sophie, why do we bother to eat pizza and pasta outside of Italy? 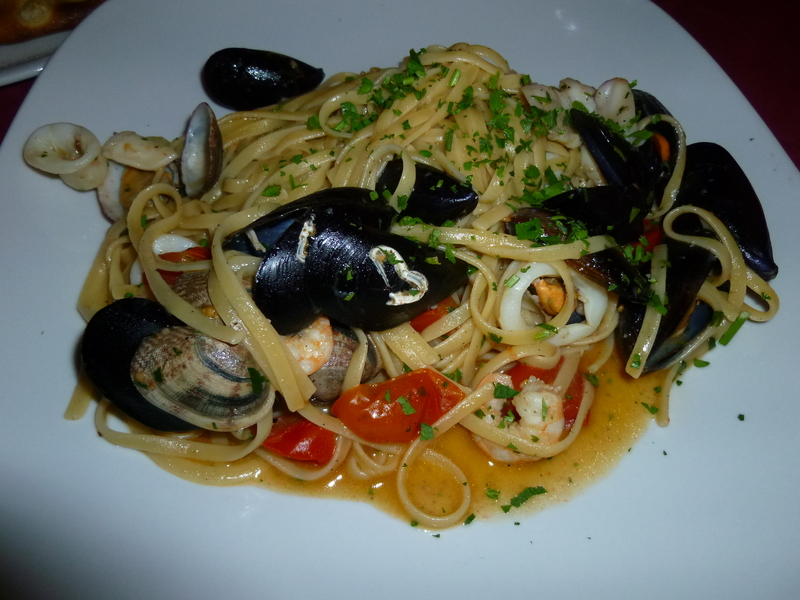 This entry was posted in Cuisine, Italy and tagged caffe, Cuisine, cuppuccino, gelato, italian, pasta, pizza. Bookmark the permalink. Thank you so much for your recommendation. Will certainly note this down and visit it the next time I am there! Cheers! I was the same!! I can’t eat pasta and pizza outside of Italy anymore, unless it’s in Nice, France! Also, my guess is that you made the pasta dish in the photo above. Am I correct? It looks like something I tried in Positano. Delicious!